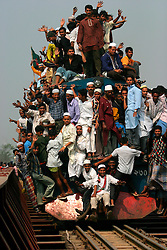 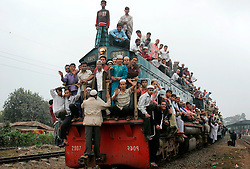 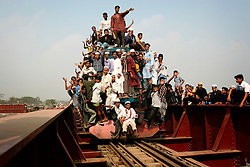 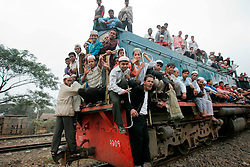 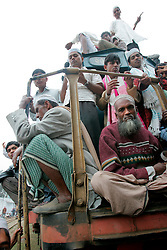 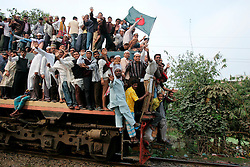 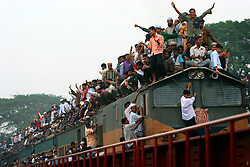 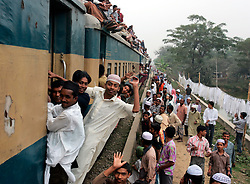 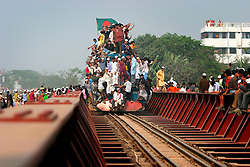 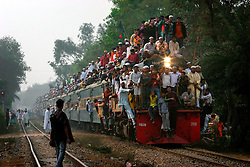 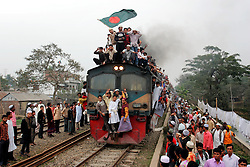 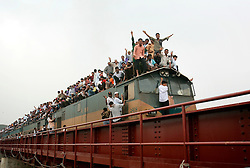 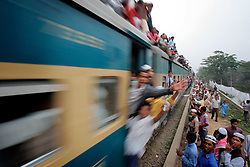 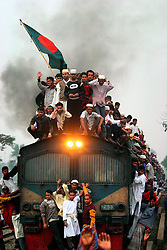 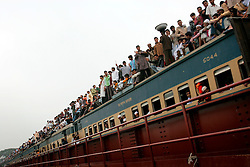 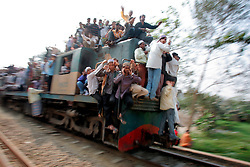 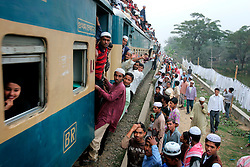 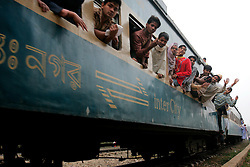 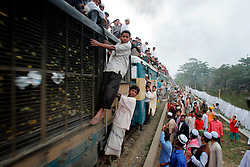 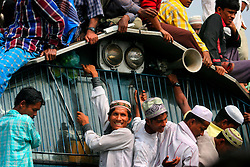 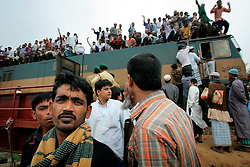 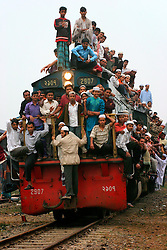 Reportage story on the Bangladesh Biswa Ijtema and the overcrowded trains carrying worshippers to and from the prayer site at Tongi Junction north of Dhaka. 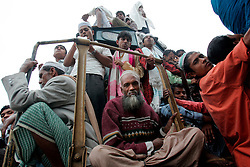 The annual Tablighi Jamaat Islamic movement congregation lasts three days and is attended by over two million Muslims, making it the second largest congregation after the Hajj to Mecca. 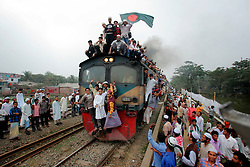 Devotees from approximately 80 countries, including the host country, Bangladesh, attend the three-day Ijtema seeking divine blessings from Allah. 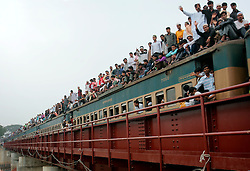 The event focuses on prayers and meditation and does not allow political discussion.